Lifestyle filmmaker Christina Hodnet has joined production house Wild Plum, after teaming up on a campaign for Beech-Nut products with Scrum 50. Hodnet is able to take that experience and combine it with her filmmaking education and her family life to create some of the most natural and beautiful lifestyle spots on the air today. “I am the market that I’m trying to sell to often times,” she remarks. 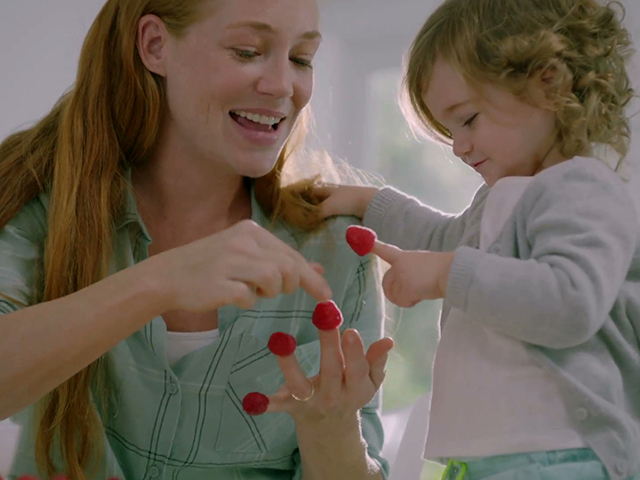 “I don’t have to look too far for inspiration and I really enjoy conveying the real life of the contemporary family.“ Her commercial career has included work for clients such as Walmart, Hasbro, Smuckers, Tide, Campbell’s, and Band-Aid, to name a few – as well as recent projects for Rice Krispies for Leo Burnett/Toronto and Snuggle for Campbell Ewald/New York. Hodnet’s work brings about thoughts of insightful honesty and authenticity, encapsulating romance and sweetness, the unconditional love of a parent, the genuine affection between friends and the exploration of a young child. She captures moments that are alive with emotion and connect with her audience. The Beech-Nut project not only brought together Hodnet and Wild Plum, but also an all-female team at Scrum 50, making the project one led by women, from agency through production. “It is something I find is happening more and more often, which is a great thing” Hodnet says. Christina Hodnet joins a Wild Plum roster that includes visual storyteller Fergus Stothart, the comedic mind of Trevor Cornish, Justin Leibow, who seamlessly blends live action film with stunning graphic design, action/sports documentarians South District, and doc-style/testimonial, cinematic storyteller Ben Ross.